Spring has sprung and it’s a spectacular show of wildflowers all over our hills and mountains up here in the Santa Ynez Valley and we can’t wait to paint them all. Spring always seems to bring with it all things new and fresh…and we seriously have so much new, fresh & exciting news to share with you that it won’t fit in this email alone. So, be on the lookout for an announcement email arriving in your inbox in the next couple of weeks! Can’t wait to share more details about a dream finally realized! Speaking of dreams realized, I did want to mention that I gave a talk out at Casa Dumetz last week for their Friday Night Speaker Series about my personal journey starting this little business I like to call Gypsy Studios. It was pretty raw and honest, but hopefully somewhat encouraging for any of you who have ever found yourself stuck in a dark place…depressed, unmotivated, defeated etc. It is posted on the website here if you’d like to give it a listen. It feels quite vulnerable to share if I’m being honest, but I believe our vulnerability is what connects us…and there’s nothing I love more than connection. SO, listen away! 🙂 …but be gentle. 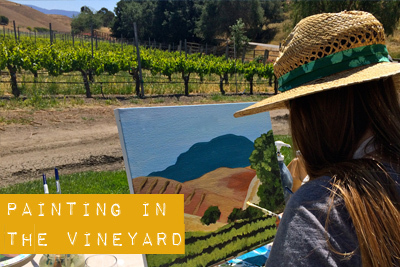 As I was saying earlier, tons of Painting in the Vineyard events have recently “sprung” up on our calendar and we are looking forward to a couple NEW locations this year! We will setup our easels for the first time at Camp 4 Vineyards with Kita Wines on April 29 and at Ca’Del Grevino on May 20th. 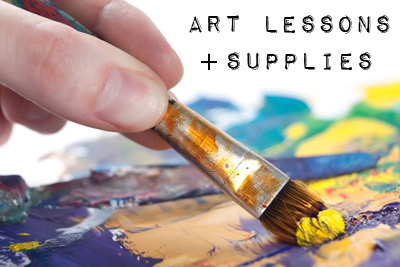 We’ll also be celebrating holidays like Earth Day, Mother’s Day & Memorial Day weekend with Painting in the Vineyard events. Earth Day will be at Kalyra on Aprill 22 and Saturday of Mother’s Day Weekend will be at Brander Vineyard. Sunday (actual Mother’s Day) we’ll be at Sunstone and there will be a lunch included–details to be released shortly 🙂 Painting in the Vineyard is such a perfect way to celebrate your mom. 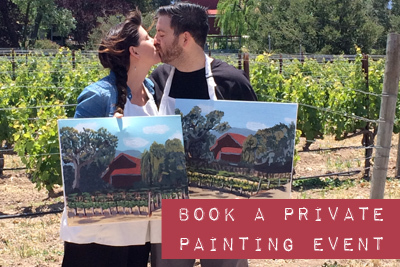 These events produce memories that will last a lifetime and a painting to commemorate the occasion…what more could mom want, honestly?! OH! and…if you’re in town over Memorial Day weekend–we have an event EVERY DAY. Saturday, Sunday and even Monday. Check out our calendar here for all of our upcoming events!